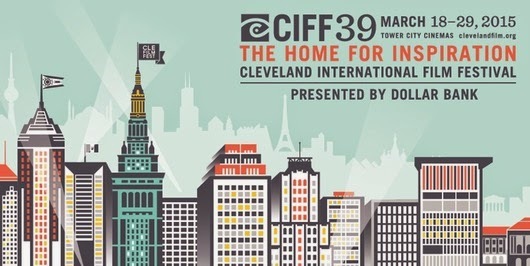 The Cleveland Movie Blog: Help program the CIFF39! Have you ever wanted to program a film festival? Now’s your chance! Join us on Thursday, January 29th at 7:00 p.m. at the Capitol Theatre for GET SHORTY, where we’ll be celebrating 12 years of this Film Feast series favorite. Here’s how it works: we will show a selection of short films, you will cast your vote for each, and the top scorers will be screened at this year’s Festival. We will not only serve up fantastic films, but we will also have an array of food and beverages catered by Culinary Occasions available before we gather in front of the big screen. Don’t wait! Make your reservations today to be part of an event that always makes for a perfect night of film, food, and fun. To make your reservations and to learn more about the complete Film (and other ARTS) Feasts series, please click HERE or call 216.623.FILM, ext. 14. FILM (and other ARTS) FEASTS, sponsored by Hyland, is a fundraiser to help support the Cleveland International Film Festival.